BT Group has announced completion of the transfer of 31,000 employees to Openreach. This marks the final step in the creation of a more independent, legally separate business. It follows voluntary commitments made by BT to Ofcom in 2017 aimed at enabling Openreach to continue to promote competition and better serve all its customers. As reported by industry regulator Ofcom in June 2018, BT has been taking positive action since March last year, creating the separate legal entity Openreach Limited, with its own independent board and strategy which serves all its customers in the communications market equally. 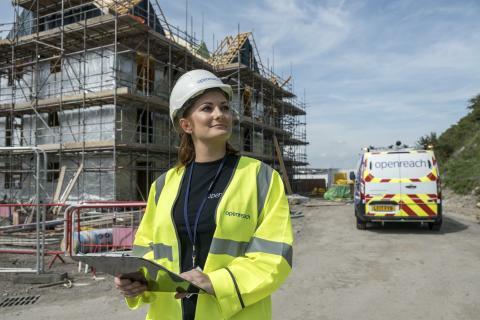 “Our teams have been working hard over the last 18 months to ensure that Openreach is operating with greater strategic independence and in collaboration with customers, and the transfer of 31,000 people over to Openreach marks the final official step towards the creation of a legally separate company. In addition, as of today, BT’s ‘Northern Ireland Networks’ division will be rebranded ‘Openreach Northern Ireland’. This team already delivers Openreach products and services in Northern Ireland, and will continue to focus on providing better, broader and more reliable connectivity for all its customers in the communications market.